George Payne Butchers in Brunton Park, Gosforth, bagged a five-strong gold awards bonanza in the 2013 Smithfield Awards, an annual national product evaluation showcase contested by Q Guild butchers nationwide. One of them, Lamb with Mint & Redcurrant Sausage, went on to be chosen as the best English lamb product in the entire event. The sausage, which uses local lamb from Tom Burn, of Hunting Hall, Holy Island, is based on a recipe submitted by a six-year-old boy from Gosforth, Daniel Bansal, which last year won a competition staged by George Payne Butchers around the Queen’s Diamond Jubilee celebrations and the shop’s own 25th anniversary. 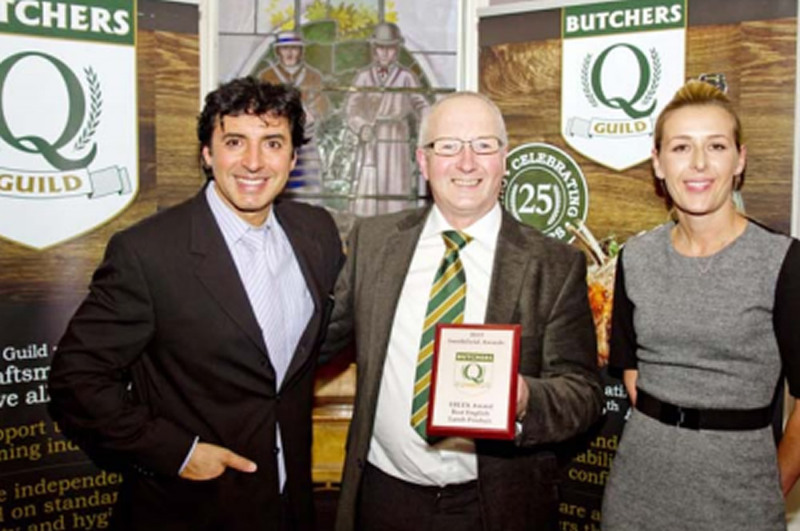 Some 360-plus individual products from Q Guild butchers nationwide – they are at the elite end of the UK’s retail butchery sector – were submitted for this year’s Smithfield Awards, also known as the Butchers’ BAFTAs.